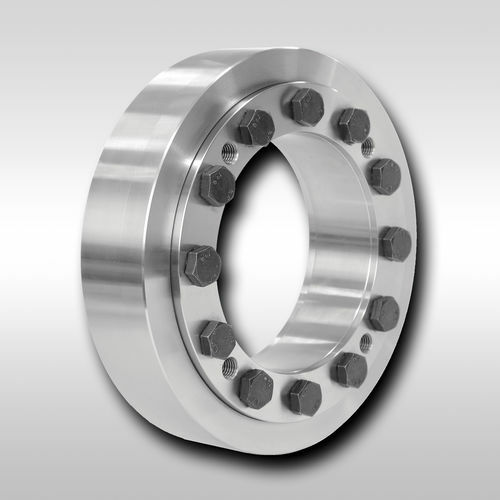 The RLK 608 series is manufactured by Ringspann, and is a shrink disc with two-part construction. It has the highest transmissible torques, which can easily and quickly assemble by tightening the ­clamping screws without a torque wrench. It has a distance operated assembly that assures ­guaranteed transmissible torques. The unit has a sealed construction, which is impermeable to dirt. It is commonly utilized for hollow shafts or hubs with internal ­diameters ranging from 30 mm to 620 mm.